There are 2 main methods, harmonic and straight pull through a clamp of some design. The straight pullers start with the “C” puller which is really only useful for the smallest of props. They then get more complicated to handle larger diameters and larger number of blades. Even the straight puller can use a smart bang with a hammer to move a stubborn prop. Some recommend heat but this can be unwise. The prop may be able to handle it but anything close by like shaft glans, strut bearings may get damaged. This prop puller is affordable, easy to use, and effective. Works by screwing puller on to end of shaft and hitting the puller with a hammer. The vibrations the puller causes the prop to back off. Great to put in your weekend tool kit. Hitting the Harmonic puller vibrates the shaft so loosening the prop, see video of a inboard with traditional shaft. Tighten the puller all the way then back it off 1/4 turn. It will back off more as you hit it and it vibrates. Use a heavy metal hammer 5 or 9lb. Designed to help you remove a prop from a shaft quickly and easily. Handles 2-, 3-, 4-, or 5-blade props up to 1 1/2” shafts. Jaws open to 6 3/4”. Constructed of our high-strength Nibral throughout, with cadmium-plated steel nuts and bolts for salt water protection. Bolts are 5/8” x 9” long. 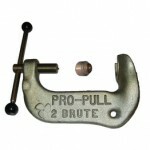 This is a plate puller, with one plate behind the prop and the other at the end of the shaft to provide the pulling base. The plate puller is excellent for removing larger 3 and 4 blade props. The PropSmith is the preferred tool of yacht owners and marine trade professionals for simple, trouble-free installation and removal of inboard props, regardless of the diameter or number of blades. 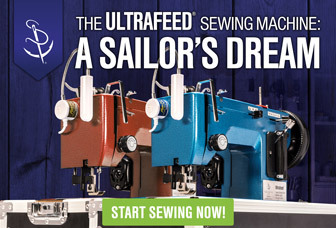 Recommended and used by quality-conscious boat builders such as Viking, Hatteras, Lazzara, Cabo, Spencer, Ocean, Burger, Sculley, Post, Delta and many others. The PropSmith is the only tool that is both a prop puller and a prop pusher, with no risk of damage to the prop. The unit is compact enough for easy onboard storage and simple enough for underwater use. Manufactured using unique materials technology that allows exertion of force of up to 40 tons, and provides a lifetime of service. Simple C clamp type of puller, works well for small props. There are many versions of this type on the market. Simple screwing on the handle tightens the clamp pulling the prop off the shaft. Sometimes a smart hit with a hammer will loosen a stuck prop. For larger props the clamp may not get around the blades so you need a puller like the ones below. The scissor puller is very versatile with the pivot pins, but is expensive at $300 plus. See video below of this type in use underwater. PRO-PULL Versatile propeller puller is designed to remove 2, 3, most 4 and some 5 blade propellers on inboard shafts ranging from 3/4” – 2.” It’s made of high strength heat-treated alloy steel and finished with cadmium for protection. The threaded rods, pivot pins and handle are manufactured using the finest stress proof steels available. The shaft end of the puller has a recess to captivate and hold the propeller shaft in the center of the tool so it can’t slip off while in use. The offset design of the pivot pins keep the hook of the tool on the propeller hub and pulls through the center of the propeller shaft. Minimal clearance between the propeller hub and strut are required due to the unique puller design. This propeller puller requires no additional tools for operation.